Hello, and welcome back. I'm not writing that as if I'm saying it to you, I'm writing it as if you're saying it to me. Thank you. It's good to be home. The jet lag didn't seem to be overwhelmingly terrible for me until last night, our fourth night at home. After hours of valiant attempt, I finally popped a Bendryl and slept for as long as I could. Phil and The Kid both had a banner night of sleep. Really excellent rest. Kudos to them. When we last spoke, I told you briefly about our vacation last December. Here's more brevity on that subject. 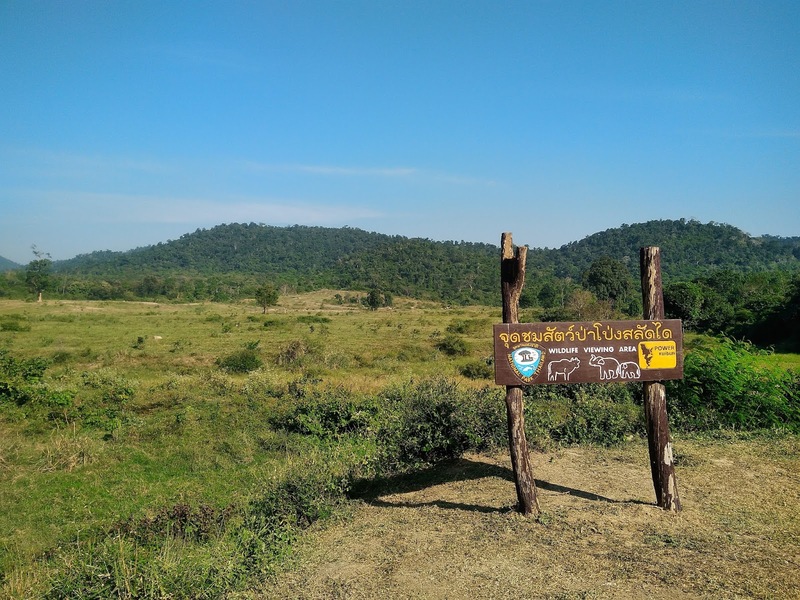 There are a few national parks near Sam Roi Yot district. 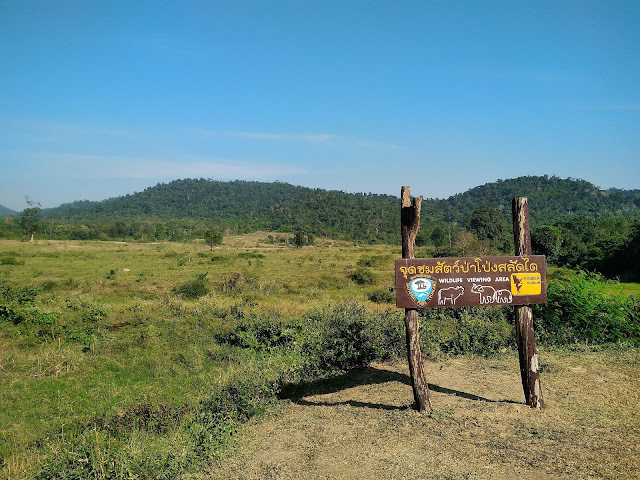 This one, Kui Buri, is where you go if you want to see elephants in the wild. People with a sense of adventure can hike and camp in the park. 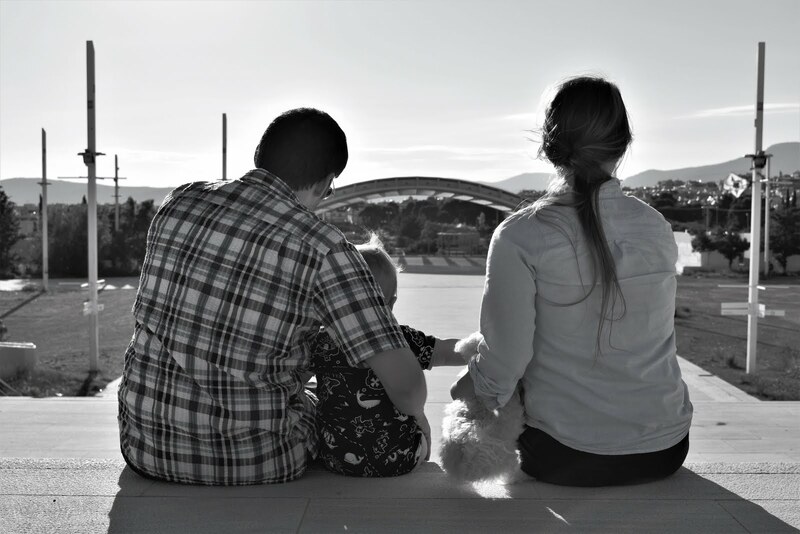 People with a toddler can pay to ride in the back of a truck through part of the park. It was an exciting drive, with stops at several elephant viewing areas. There are elephants in that clearing. Can you see them? To be perfectly candid, I'd hoped the elephants would be walking alongside the trucks, and forming deep and meaningful bonds with me. In hindsight, that sounds a little bit unreasonable. I guess it's a possibility (the proximity part, not the friendship), but maybe not a likely one. It was still worth it. We saw a few elephants much closer than these, and we also saw a gaur, which is like a big, wild cow. Gaur are listed as a vulnerable species. They're native to this area, and are the tallest of the wild cattle species. Kui Buri is one of the best places to see them. I didn't get a photo of the gaur. Here's one of the truck in front of us, instead. I'm glad we got to see some animals, but I would have been happy with the trip, regardless. It was nice to be in big, beautiful, open space. Thailand has 127 national parks. I hope we get to see a lot of them.